When I was asked to assist Brazilian Plastic Surgeon, Mauricio de Maio M.D., at another Allergan Master Course, without hesitation (and even with the lack of program details) I replied YES! Allergan hosts a Master Course in cities throughout the United States just a few times a year. In the chosen city, Allergan offers exclusive invitations to doctors and practitioners that are considered to be the most experienced injectors in those areas. In essence, it’s a privilege to attend a Master Course. I’ve been fortunate to assist Dr. de Maio on two separate occasions, for a total of 5 days. 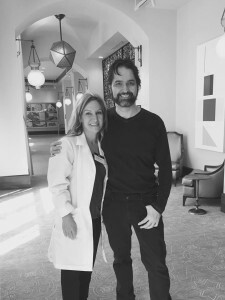 My experience is unique in assisting Dr. de Maio as it includes observing him engage directly with patients, as well as lecture from a stage. Within a few minutes of meeting with him, it’s clear to see, even to the layperson, that he is a master in facial aesthetics – which is why he is asked to train all over the world. He has a gift of being able to assess faces, and within minutes he can point out details that even the most experienced plastic surgeon in the course has trouble visualizing. This time, on the final day of the course, I felt like the pieces of the puzzle really came together for me. His theme in the Orlando course was Balance and Harmony. In order to achieve aesthetic balance and harmony, it is important to be able to assess our patients appropriately. What are the messages that we send through our face? Do we look tired, deflated, sad, unbalanced? Is there a detail in our face that is sending a message that doesn’t reflect how we feel? I have patients that walk into my office every day and say, “My friends tell me I look sad, but I’m not” or “My family thinks I’m tired, but I’m full of energy.” These intricate details are why fillers and Botox can have such a dramatic, yet subtle, impact on our looks and the messages that we send the world. Our goal in this field is to avoid making our patients look overdone like “Hollywood.” We want them to look elegant and sophisticated. In this course, I was able to see firsthand by observing live demonstrations on patients, how stabilizing a muscle in the cheek can make the eye look less tired, or stabilizing the muscle in the chin can make the smoker’s lines in the upper lip less dramatic, and where to avoid injecting in the cheek to keep the lips from having a sad look. Spending three days with injectors of such an elite level, certainly helped to fine tune my injecting skills. I’m really excited to implement these ideas and techniques with the patients of Hernando County.